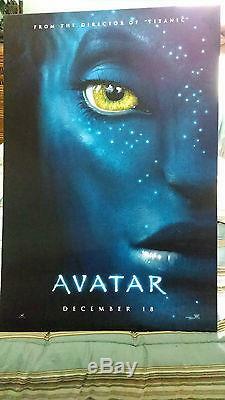 This is an original 27x40 lenticular poster, distributed only to movie theaters, for the 2009 James Cameron movie Avatar. 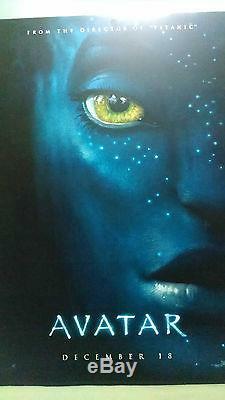 I managed to obtain it directly from the theater, and aside from being in front of the window for the above pictures, this poster has never been exposed to direct sun or artificial light, leaving it as bright and colorful as the day it was manufactured. Aside from some dust collection from basically sitting in a closet for almost 6 years, the poster is in great condition with no visible scratches, tears, or bending. This poster is a fantastic item for serious and casual movie memorabilia collectors. 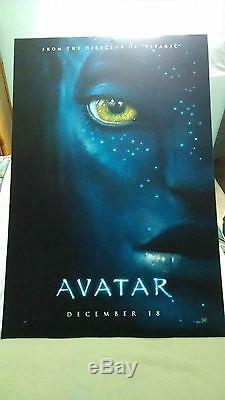 The item "Avatar Original Lenticular Poster 27x40 Never Displayed" is in sale since Thursday, April 16, 2015. This item is in the category "Entertainment Memorabilia\Movie Memorabilia\Posters\Originals-United States\2000-Now". The seller is "locutusofborg84" and is located in Cincinnati, Ohio. This item can be shipped to United States.